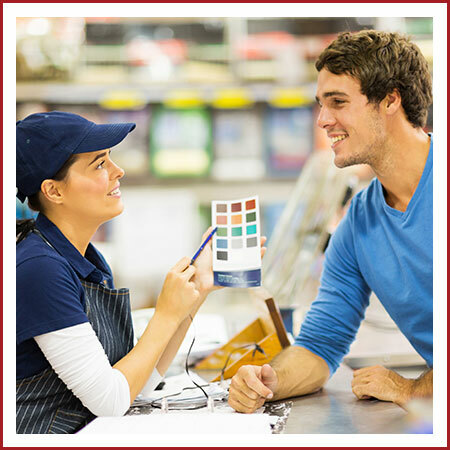 Growing your home improvement business and building a larger customer base presents unique challenges. To do this you need to get the word out to the right audience promoting your products, services, and promotional sales in a timely manner. You may also be working with either a limited budget, time and/or resources. It’s as easy as 1,2,3. First define and attract the right customer. Next, get the word out to the right audience at exactly the right time. And finally, don’t forget to nurture these leads to increase conversions by delivering regular content your customers find invaluable. 1. Define the right customers. Define your ideal customer by answering “Who do you like to work with?” Also, define what type of client is most profitable for your business? Don’t forget to define your delivery or service area. 2. Get the word out at the right time. Create an annual calendar of monthly promotions. This calendar should include products, services, promotions, and in-store events. Use this calendar as your guide to update your website’s messaging and create specific advertising to drive in-store traffic or calls. Don’t put all your eggs in one basket. Use a combination of at least three outreach methods including social channels, pay-per-click online advertising, email, print, radio and TV. If you can manage it, publish useful & timely content to your website that you can promote across online media including email and social. 3. Nurture your leads by marketing smarter. Do you feel like (or heard from your boss) that your marketing isn’t working? It’s likely that you aren’t nurturing your leads. What happens is, you stop marketing to the right customers before they are ready to buy. So, how do you make sure you keep in-touch? At a minimum, keep your social channels active (even during the winter) and send email newsletters to your main customer base. Ideally, you should be sending your prospective customers tips, articles and other information based on their interests using a marketing platform such as Hubspot. Contact us today for a free consultation to discuss the goals and challenges you are having with marketing your home improvement center, contracting or supplier business. Subscribe for Home Improvement Marketing News & Tips assembled from the most relevant content for your industry - delivered straight to your inbox each month!